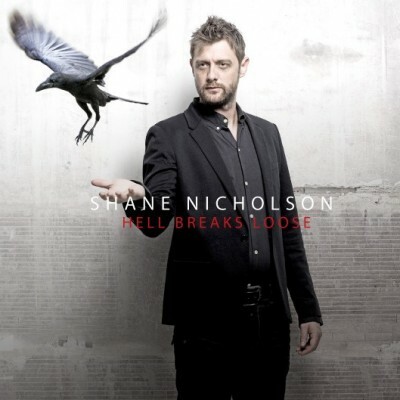 The last album from singer-songwriter Shane Nicholson was the award-winning Hell Breaks Loose, released in the last half of 2015. Since then Nicholson has kept himself busy as a producer, but thankfully he has also readied another album of his own, Love and Blood, for release on 28 July. 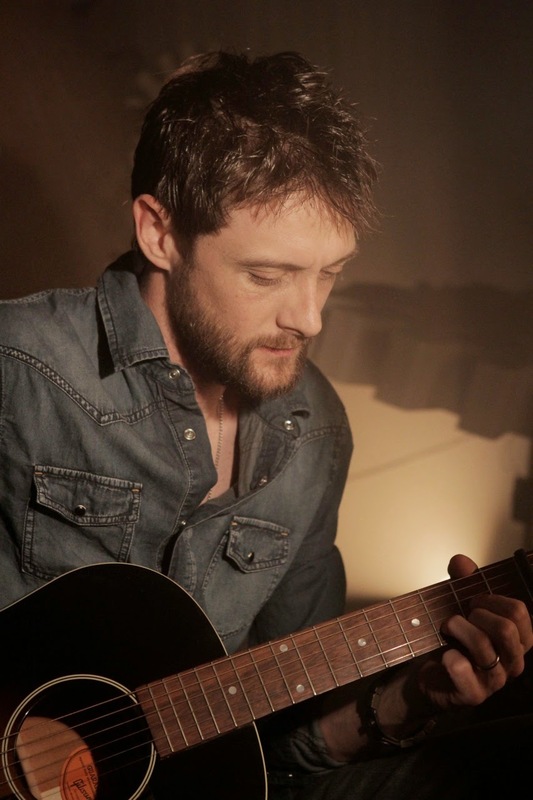 I spoke to him about the album and about his upcoming appearing at the Broadbeach Country Musical Festival in late July. I’d noticed you were booking quite a few gigs, so I figured there had to be an album coming – and, of course, now we know there is an album coming on the 28th of July. Are you excited? Nervous? Calm? Not nervous. Certainly excited. I’m always excited when there’s a new album about to come out. It’s always the culmination of a lot of work, I guess. It’s always exciting to have it come out, not just for other people to hear it but almost as a cathartic process as well. You purge yourself and kind of move on. It’s a nice feeling. It’s hard to explain. Almost like a release. There’s an album release and an emotional release as well. So I’m very excited. It’s been a little while since Hell Breaks Loose so it’s about time there was some music out. Although I’ve been really active in that time. I’ve made a lot of albums – about twelve last year alone for other people – so I’ve felt like I’ve been really active and making music every day. But it’s easy for the time to get away and you realise, wow, it’s been two years since I made a record. So I kind of knuckled down and made a new one. I’ve interviewed a couple of people lately who’ve had you playing on their records, so not only have you been producing but you’ve been doing a lot of playing too. Certainly in our little group – sort of country world, producers – we all play on each other’s projects and help each other out. There’s been quite a few projects, especially ones that Matt Fell has been producing, that I’ve come in to play on and vice versa: we’ve had a lot of people who were just in there, working, when I was in the middle of my record. Just singing because they were there, so we had them singing on my album. It’s nice making music with your friends all the time and sharing around the love. And I’m interested in the impact of that on the output overall. You and Matt, and Glen Hannah as well, have experience as musicians, you have experience as producers, you’re able to play for other people rather than demanding that it’s always you at the forefront, and I think the quality of work that’s coming out is really interesting. I don’t know that there’s anything else like it, where there’s this band of people working on lots of different projects, so I’m see this really high-quality work across a lot of different artists’ output. This is a musing more than a question, but I think it’s unique and really interesting. That’s nice to know – I guess we don’t think of it from the outside in, especially people like Glen and Matt, myself, Michael Carpenter at LoveHz [studios]. Josh, who plays drums in the band, he’s a producer and he’s incredibly talented – he was here yesterday recording an EP for me for somebody else. I work with him as a drummer on my projects but then also as a drummer on other projects. So I was producing him yesterday and he’s so good. He’s a producer himself – it’s weird telling him what to do in the studio. So even drummers can be producers – it’s crazy! You mentioned that catharsis of releasing an album – is there a feeling of a lull for you after that, or do you feel like the next body of work starts to come in straightaway? Whatever the next project is takes his place. Obviously there’s touring that comes after every record and I’ve got quite a few months of touring lined up, but it’s the next project. I’ve got three or four projects that are currently under way in the studio – I’m there now. Once these interviews finish today I’ll be back to making a record with an artist today and then tonight I’ll be mixing a different one. So other projects just come in and fill the void, as such, and that’s kind of what I like. It’s different and you’re always doing something new. There’s not really a lull or a down period – it always seems to be full-on, go-go-go. I think that’s because I’m really terrible at scheduling. I’m just hopeless at scheduling. 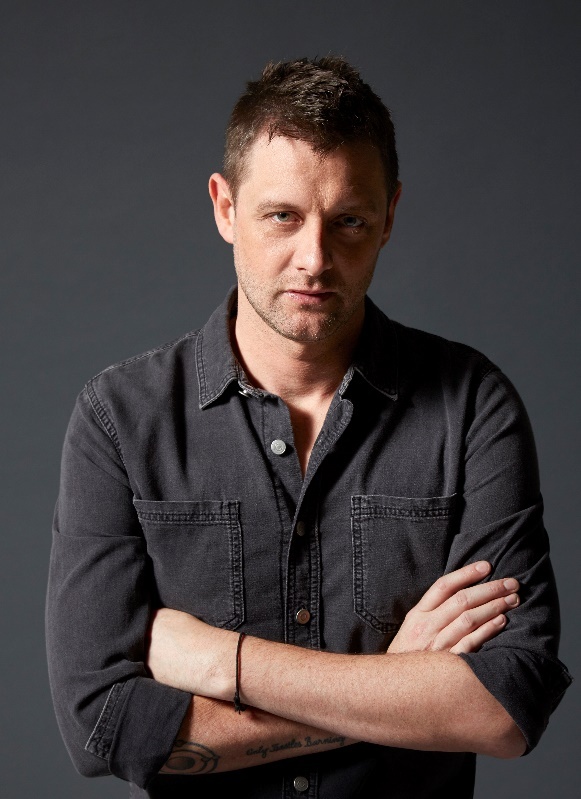 I have my manager who looks after my Shane Nicholson career but I have someone else who looks after the studio and that scheduling, and I’m in the middle just telling people, ‘Yeah, we can make a record – no worries!’ Totally screwing everybody up, and they’re trying to make the schedules work. It’s just a juggling act, but I have to have things happening, otherwise there would be a lull. Mind you, I’d love to have a day off – just go out in the boat or something. Yeah, you say that … But speaking of the lull, I also read that you went to the Hawkesbury River area to write a lot of songs, so you obviously had to physically remove yourself to do it. Well, I’ve been doing that for quite a few albums now, quite a few years since having children and not touring as much, I realised I couldn’t write as much at home – maybe the environment wasn’t conducive with children. And certainly once I was working as a producer a lot I couldn’t work in the studio, because I was spending 80 hours a week in the studio. Way back in Bad Machines days I found that I had to go out somewhere to write. So every album I’ve been looking for a different place to centre myself and get away from everything. This really nice house on the Hawkesbury I found, and it’s only boat access so it felt really nice and isolated – there was no mobile service or anything like that, so it was a nice place to go and write. I wrote a lot of this album on the water. Just anchored a boat, fishing and lying on the floor of the tinny and writing. A lot of it was written out there, which was completely juxtaposed to the last album, which was largely written in the red centre, in the desert. So it’s like the coastal record [laughs]. As you were lying in that tinny, was your guitar with you? Yeah, sometimes. But I don’t really write with the guitar a lot. I like writing without an instrument a lot. But I had the guitar and I’d play sometimes, have a beer and write songs. It was really nice, and it’s really removed in a boat because you’re surrounded 360 by water, so you know there’s not really going to be any interruption. It’s a nice place to write because your brain shuts down – my phone didn’t work, I was unreachable, so my brain just completely shut down to the outside world and songs started coming. It was a really fun process. But I went up there about three or four times, I had to get the record written in three or four days at a time. So it was intensive – I’d get up and write all day and night. With the schedules now, like I said, it’s crazy busy so it’s not like I really get to just write when I feel like it, like I used to – I don’t really have that luxury, so I’m creating time to write now. The fear with that is that the inspiration won’t come when you need it to, but I’ve just learned over the years that you just create the environment for it to happen and then cross your fingers and hope for the best. Once you’re in that environment, I can kind of orchestrate it to happen most of the time. The biggest thing with this record was realising that I hadn’t been listening to music much – I’d been making so much music last year, a dozen albums back to back and overlapping. It meant that, without knowing it, I hadn’t listened to music for enjoyment all of last year. Because after 14 hours in the studio you don’t really go home and put on a record to listen to. So I realised that when I started to write I wasn’t really that inspired to go back to being a lover of music again. I had to remind myself of the twelve-, thirteen-year-old that I was who was inspired enough by the music I heard to want to create my own music. So I had to find time, force myself to consciously listen to music for enjoyment again. I always enjoy it but it’s very different when you’re making it as it is to just putting a record on that you love. So that was part of the process of the Hawkesbury – I wasn’t writing every minute, sometimes I was just listening to music and becoming a music fan again. So it was an interesting thing to learn, that I’d had a year full of music – absolutely jam-packed with music – but was then struggling to write because of that. I’d just forgotten to listen to music and love music. It was a good lesson to learn. Were you listening to new music, or going back to things you loved? Sometimes. I’d always take my trusty favourite records and listen to records that I knew had always inspired me over the years. It was whatever I grabbed – there was no real thought to it. But I always try to listen to new stuff, and I’m exposed to a lot of new stuff through a lot of clients I work with – they come in and they’re referencing other artists that they love to listen to. I’m finding a lot of new acts that I wouldn’t be aware of because you do live in a bubble, producing and being in the studio. It can be trap. You need to be aware of what’s happening and what music’s around and what people are listening to. I larger find out that stuff through other artists I work with. It’s like they do all the research and hard work. That’s like paying tribute to the emperor, I think. [Laughs] There’s so much music around, too, that we’re in danger of being swamped by it. Sometimes it’s hard to define something that you really love because there’s just so much to sift through. So I love taking recommendations from people who come to work here. And if they’re working here it generally means they like the same music that I do. You are taking this new album on the road and the Broadbeach Country Music Festival seems to coincide exactly with your release date – so I guess it will effectively be your launch gig. Essentially. I consider that every show I do in each city the first time for each album is a launch for that state. But I think Broadbeach is extra special because it’s not only the first time that I play there but it’s Queensland and it’s winter, which means New South Wales is rubbish right now and cold, so I’m always happy to get back to Queensland in winter. But I think musically it’s going to be fun. The new album is released the day before we play there, so it’s essentially the main launch, and I do have my whole band of producers, which is very rare, that I can get them not only at the same gig at the same time but certainly a gig in a different state. That was a scheduling nightmare because these guys don’t really tour anymore, so to get them all out of the studio, all being producers – everyone in the band is a producer – it was kind of a challenge but I’m really excited that the first show of the album tour is going to be with them, the guys who made the record. I think it’s going to be fun. Since you’ll be playing a lot of new songs from the album, obviously a lot of your older songs will have to be jettisoned from the set list – but is there one song that you can never get rid of, either because you love it or because people ask for it? I don’t have any normally, but when the band’s with me the only song that’s always in the set is ‘Jackson Hole’ because it’s just for the band – it’s purely self-indulgent, it’s really fun, and massive big, long extended guitar solos. It’s just the chance for everyone to stretch their legs a little bit. That one’s never not been in the set when the band’s with me, so I’m pretty certain that’s going to be in the set – they’re not going to let me not put it in there. But I don’t really have any favourites. I certainly don’t ever do a show without playing some songs – ‘Trick Knee Blues’, but obviously that’s not a festival song so that may not be getting an airing in Broadbeach. There’s nothing that I really feel compelled to play. Eventually, over the years, the more singles you have the set list starts to write itself. The trick is to keep it interesting, I think, and some nights jettison a song and replace it with something else. A curve ball, now and then. But every record there’s more singles and more songs that appear in the set list and it does get a little bit harder. I try to recycle them. I don’t like getting bored. Probably ‘Rattlin’ Bones’, too, a lot of people expect that. But that doesn’t get played every show either. I’m lucky in that sense that I don’t think I have a defining song – it’s not like I ever had a huge hit single that I have to play. So I don’t think anyone comes to a show really expecting or wanting to hear that one specific song. I’ve certainly never had that impression from my audience. I kind of like that in a way; I’m really pleased with that. It just means that it’s more about the song catalogue in its entirety than one or two things in particular. I have to say that as a longtime fan of yours I do come to shows expecting certain tracks and I am often disappointed! But that’s the way it goes. I remember the last time you did a tour you put it out on social media to your fans to suggest songs – did you like that method of choosing your set list? That was fun – and it ended up informing a lot of the set list. That could have been the tour when I recorded it and made the live album. So pretty much the track list of that record ended up being from the votes, or my pick of the songs from the votes. I really enjoyed that because a lot of the songs that came back weren’t singles – a lot of the songs that were repeatedly voted for were album tracks that had never been played on the radio or never had a video clip made for them, they were just hiding down at track 8 or 9 on an album. I loved seeing what songs connected to people – I thought that was really quite interesting and sometimes surprising. But always good. I really loved it. And we do it live, too, a lot. I do this ‘Song Bingo’ thing where people can request songs in the moment, and sometimes it’s really interesting what people will come up with. Sometimes they’re just trying to stump me, picking things that are really obscure, and sometimes I try them and it’s a trainwreck – but that’s the point of Song Bingo. Sometimes the song that gets called out I think, Wow, I would never in a million years have thought to put that song in the set list tonight. It’s always interesting, what people connect with. And also what they connect with over time. If someone has all your albums and they can go back to them – I’ve certainly done this with your albums, and there might be a song that I perhaps didn’t love as much as others at the time but somehow now I do. When you’re very good at what you do, writing songs that can stand the test of time literally, your audience will have that flexible relationship with them. That’s nice to contemplate, that idea. It’s something you don’t think about very often, you know – you take cues from the audience and you know what floats and what doesn’t at a show. But I don’t often think about the idea of somebody living with the music over time. I always think of my records as a point in time – it’s like taking a photograph of you in 2006, that’s that album, that’s you then. But I guess you’re right – there’s records that I love that I’ve lived with my whole life. Harvest– I’ve lived with that record forever, and you’re right, it evolves over time, different songs speak to you at different times. I guess I’ve just never considered myself in that – I’ve never thought of it. You don’t really see the forest for the trees when you’re the artist. If you click on the label ‘shane nicholson’ on the right-hand side of this web page, you’ll be taken to quite a few reviews of albums released by, unsurprisingly, Australian artist Shane Nicholson. All of these reviews will contain praise for Nicholson’s work, because he deserves it, releasing consistently excellent albums over several years. What does the term ‘Americana’ signify for you? I consider it to be a catch-all phrase, like a big umbrella term that covers so many different forms of country music – but not just country music. Roots music, folk music, bits of rock ’n’ roll. It’s this kind of weird melting pot of stuff. It’s been around for a very long time but it’s obviously becoming a bit more known as a genre, I guess, and that catchphrase, that term. Which is a bit weird for us in Australia because it makes us think of the music as being American. But it’s not so much – we used to call it ‘alternative country’ but alternative country really to me is a subgenre of Americana. It’s kind of what these people who are fringe dwellers on the country scene are doing – they’re using a bit of rock and old blues and folk and all these different kind of influences in their music. But I certainly don’t see that there’s anything new. Neil Young was doing it in the ’70s, so it’s been around for a long time. My next question was going to be, ‘In Australia, how do we define it?’ And I think it has been called ‘alt country’ but I’ve certainly seen the label being used more for Australian country music than it used to be. There’s a real burgeoning alt-country scene in Australia which has always been bubbling along underneath but now that it’s been recognised at the Golden Guitar awards with its own category, the introduction of Lost Highway – the label that I’m working with, which is pretty much a boutique label whose whole mission statement is to try to recreate the feel of what the American Lost Highway label did, which was really hugely instrumental in the careers of people like Ryan Adams and Lucinda Williams who really have pushed alternative country largely into the mainstream, certainly in American and also internationally. So I think there’s a push now – there’s a bit of a groundswell and a push for this kind of music and people are still gravitating towards it. There’s a lot of country-folk-blues-rock music to be made in this country that hasn’t always had a home and I think that’s what’s good now: it’s getting to that point where a community is forming of people and artists who kind of know each other and get along really well and tour together, and that’s largely what this show’s all about that we’re starting, with the Road to Americanafest, which is going to become a bigger thing eventually. This is the lead-up to us going to Nashville for the Americana Festival but I want to turn it into the alt-country Americana roadshow and travel with it around the country, and show that there’s that melting pot of artists. That’s why I’ve got six people on the bill – the whole idea is that it’s seen as a community and people working together and playing, which is largely what they do in the States. All of our idols do that – they’ve all sung together and toured together and done all sorts of things where they cross-pollinate with each other, and that’s what I want to push in this country a bit more. Certainly I’ve seen at Tamworth those shows at the Tudor Hotel upstairs, the late night alt country – it was really interesting to see that community coalescing. And part of what’s so great about Australian country music and the communities within it is that there’s so much respect for other sectors of country music, so those influences are there to drawn on and they’re also really respected by younger artists who respect older artists, so I think it means you can get all these different types of people involved and all these great sounds – and it sounds like that’s what you’re working towards. Totally – and it’s got this outsider feel to it for a lot of the artists and I think they enjoy that in a way. And I don’t mean outside the industry, I mean outside other industry circles, and it’s a group of people who are like-minded and love the same music. I think it’s interesting that the public, listeners, music lovers are discovering music that they love and they didn’t know what it was called, they didn’t know what alt country was or Americana music was. But it’s always been here, you know – we’ve always been listening to American music. Slim Dustry was a really great interpreter of Jimmie Rodgers. It all comes from somewhere. So we’ve been listening to American music for a long time, and if you want to put a finer point on it, it’s actually Irish music in the first place. I really get bored of the argument or the deciding about delineating between Australian and American, because music is one of the two universal languages, the other being mathematics, and I don’t know anything about mathematics. The thing about music is that if it’s the universal language, then I don’t really care where it comes from, who plays it – it’s all there on the table and it’s all for the taking, so use anything and everything to make the music you want to make. We do have to give it names to differentiate between it, but maybe less now – there’s not really physical record stores any more where you need to go in and find the pop section or the classical section. I guess you just look up the sections on your phone now, on iTunes or whatever, so we still need categories so people know where to go to find something they want to hear. But beyond that I think labels are a bit pointless, really. Just listening to you talking about mathematics and music – I think there is some science now that proves that people who are great at music tend to be great at maths, so you may know more about maths than you think. [Laughs] Well, it hasn’t presented itself to me yet. That degree in pure mathematics awaits you. Yeah, awesome, that sounds boring. I don’t think I can do that [laughs]. You can look at the numbers on the mixing desk, maybe. Speaking of which: you’re the house producer for Lost Highway Australia, so I’m wondering how conscious you are of shaping current and future sounds in Australian music. I think you’re in a unique position as a songwriter, performer and doing this much producing for one label. Are you thinking of that when you’re producing – that you’re shaping the future? Not really. Not on such a grand scale. What I’m really doing when I’m producing is thinking about what sort of album they want to make and is that what we’re achieving. Every record essentially is about what that artist is trying to achieve and steering them down that path and around the obstacles and trying to make that come to fruition. I don’t produce everything for Lost Highway either – artists are able to use other producers. Most of my work is separate to the label, but it’s still because of that. People still come to me because there’s a certain sound they’re after or judging on records of mine that I’ve made in the past or for someone else – they become your business cards. [Those artists] come to you for a certain reason. I don’t get pop artists coming to me wanting to do a Top 40 song – nobody’s got an idea that that’s what I do because I’ve never done anything like that. So the people who come to me are generally more in my vein or the Lost Highway vein, and I think by virtue of that there is a knock-on effect producing a lot of those artists where it does become a bit of a group. Interestingly I don’t really think about it in those grand terms, I guess – it’s just about every record to me. As long they’re really great and I’m super pumped about how great they are, that’s as far as I think about it. If you are concentrating with every project you have, that becomes an aggregated whole which is a great cultural contribution, at least from my perspective. But just back to what you said about pop – I’d argue that on your first two solo albums you showed extremely good pop sensibilities. I guess it was a bit more pop back in those days [laughs]. You can write a catchy tune – it’s nothing to be underestimated! No, no, and I loved doing that. There’s still large elements of those records in what I do now. The people you grow up listening to are always the people who come out in your work and you end up using all those influences as you get older. But obviously it changes over time. I find that the latest record [Hell Breaks Loose] is the first record that’s tying those earlier ones to the more recent records. It’s actually got elements of every record I’ve ever made on it. That wasn’t intentional at all but it certainly seems to have done that, from my perspective as a writer. As someone who’s listened to your albums many, many times, I’d agree with that. Cool. It just seemed to be that. It wasn’t till it was finished and I had some distance from it that it occurred to me that it references little bit of everything – It’s a Movie, Faith & Science, all that old stuff, but then kind of incorporates all the different shades of country I’ve tried in the meantime. It was a nice surprise, when I’d finished it, to realise that. One question I’ll ask about this album before I go on to ask about AmericanaFest is whether you’ve been back to Hermannsburg? I haven’t. I’m going back in a couple of months to play a show out there with Warren Williams – a big outdoor festival show, I think in the historical precinct. And I want to feel a whole bunch of doco footage and retrace my steps from my last trip out there. It was just a trip at the time that I didn’t realise how pivotal it would be until later. It would be kind of cool to go back and retrace my steps and have a keepsake of it. Try to drag a filmmaker along with me, and play a show, which I think will be pretty special. You’ll probably get a lot of people. I interviewed Warren a while ago and I remember him saying that if you put on a show in those parts of Australia, so many people come because they’re so keen to hear music. And they love their country music out there. Here’s a really quick story: when I was walking through Hermannsburg one day on my own, having a stroll, I heard music but it didn’t sound like a record. I thought, That sounds like a band playing. I followed the sound and walked into this corrugated shed with a dirt floor and there’s three guys jamming [with] this broken drum kit and this bass guitar with two strings, they just had the shittiest equipment but they were going for it and loving it. It was awesome. I sat there and watched them play for a little while. It was really cool. That sounds like it will be an amazing show and experience – and also good for you to return, just going on what the song is like on your album and what the place meant to you. Basically, it was more having the perspective for a little while and going away from your bubble. I wasn’t going to write. It was the one time I’d got on an aeroplane without an instrument. It was weird getting on a plane without an instrument. The plan was not to play music at all because I’d been recording so much in the studio and I was a bit all musicked out. But I guess that’s why and how it happens. On my first day there I sat down outside this church and started writing ‘Hell Breaks Loose’, ironically, steps of the church. And then I had to go and find a guitar off a local – I had to get Warren to find somebody who had a guitar so I could keep writing that week. So it’s just the way it works – nothing ever goes to plan. You created the vacuum and nature rushed to fill it, I guess would be the physics way to put it. Now, to this tour: you’re heading off with Lachlan Bryan, Gretta Ziller, the Weeping Willows and Andrew Swift. Mr Bryan has been known to wear a three-piece suit on stage – will you be joining him? [Laughs] Absolutely not. If I wanted to wear a suit, I wouldn’t be a musician [laughs]. It’s just not comfortable enough for me. These days I will wear a bit snappier jacket or that kind of thing. But, you know, I’m a musician and I’m quite happy wearing my jeans forever. That’s getting dressed up for me anyway. Right now, I’m working in the studio today and I’m still in pyjamas, because that’s what I love about doing what I do: I don’t ever have to get dressed. You could probably wear pyjamas on stage and it would be a fashion statement. [Laughs] Maybe so. I don’t know that I’ll go that far. But I’ll leave the suit to Lachlan because I get too claustrophobic and can’t sing in a suit. If I was an accountant, maybe I’d wear a suit. Well, he can wear suits for both of you. I presume you chose this line-up for the tour? I did. Because this is a Victorian one, I wanted to choose some of my favourite Victorian artists who are working consistently in this world, in this genre, in Americana/alt country. And I’ve played with all of them before. I took the Weeping Willows on my Victorian Hell Breaks Loose launch tour and I’ve done some shows with Swifty as well. And obviously Lachlan over the years. It was a really nice group to put together, all being fairly local to Melbourne. Then the idea is that I’ll move it to another city at another time. I’ll do a Sydney one and have Sydney- or New South Wales-based musicians come and do it. Then one in Brisbane. That’s the whole idea: move it around eventually. This one in particular is just the three shows down there. They’re some good people who are really good to hang out with on the road, and I thought it would musically be a pretty fun night. And also quite a good balance of acts, because the Weeping Willows are traditional country, Gretta has her very distinctive and fantastic thing going on – and every time I think of Lachlan I think of Alfred Lord Tennyson and The Highwayman. He’s probably cool with that. He’s got that every-song’s-a-novel thing going on. Yes. He’s a very intelligent bloke too. And he’s been around a long time – he’s been something of an alt-country stalwart. He’s made a mark. I once presented him and The Wildes with Alt Country Album of the Year at the Golden Guitars. So they’ve kicked a lot of goals in the past. So I think it’s a pretty good line-up and it’ll be special night, really. And there will be guests and other musicians – it’ll be a bit of fun. In the future we’re going to expand it and have American barbecue food – make it a travelling road show. To conclude I’ll ask you about AmericanaFest in Nashville. You’re going over there to play. It’s a big industry as well as fan experience – once you’ve done your shows, or in between shows, will you be a fan or industry focused or both? I’ll be both and mostly a fan. I’ve got a few different things I have to do over there. Just one showcase but a few other performances. It’s a gathering once a year when all of my entire record collection descend on the same city for a week, so it’s impossible not to enjoy yourself. You never get to see all the shows you want to see or see all the people you want to see – and also a lot of Australian friends living in Nashville. There’s so much to do in that way. I’ve done this festival twice before and I love it, I really love it. It’s got an incredible vibe and I’ve never done a music week festival anywhere in the world that’s anything like it. It’s always exciting to be there. Hell Breaks Loose is out now through Lost Highway Australia/Universal. AmericanaFest in Nashville runs from 20 to 25 September 2016. Hell Breaks Looseis Shane Nicholson’s first solo album since Bad Machines in 2011. He’s been busy in the years between, releasing Wreck & Ruin with Kasey Chambers and a live album of his own (Pitch, Roll & Yaw), and proving himself to be an extremely adept producer of other people’s albums. For his own record, though, he turned to another accomplished Australian producer, Matt Fell. Perhaps it is Fell who brought out Nicholson’s pop sensibilities more than we’ve seen over the past few years. Nicholson’s first two solo albums, It’s a Movie and Faith & Science, were studies in how to create great pop songs – ‘indie pop’, if one has to put a term on them, even ‘indie rock’, where neither term is meant as a pejorative. Those albums didn’t feature country music songs, although he has proved several times over that he can write great country songs too. On Hell Breaks Loose, both parts of his lineage come together in a seamless way to create an exceptional piece of work. There are three songs literally at the core of this 13-track album – tracks 6, 7 and 8 – which are also the core of what Hell Breaks Loose seems to be about: essentially, what happens to a thoughtful man when his life takes a turn that he didn’t expect. ‘One Big Mess’, ‘Secondhand Man’ and ‘Hermannsburg’ all contain elements of despair – ‘One Big Mess’, in particular – but there’s also a vein of hope running through them. They seem to describe Nicholson’s state of mind – state of being, perhaps – as he made this album. They’re his present, and also his past and future. It took repeated listening to realise that these three songs don’t really act alone – they should be listened to as a triptych. And, from them, an understanding and appreciation of the rest of the album grows. In ‘Hermannsburg’ Nicholson sings that he arrived in that place ‘a broken man’ – then, ‘I wonder who I will be after Hermannsburg’. He sings it with a touch of curiosity, though, not confusion, and therein lies the hope. The rest of this album contains songs of a high standard and variety that fans of Nicholson would expect. Country music fans will find plenty to love in ‘Irons & Chains’, ‘Slow Coach’ and ‘When the Money’s All Gone’; the reflective, plaintive ‘Single Fathers’ is a lullabye of sorts, and ‘Hell Breaks Loose’ harkens back to ‘Long Time Coming’ from 2008’s Familiar Ghost. That there’s a broad palette of moods on this album doesn’t mean, however, that there’s necessarily something for everyone. This is not an album for easy listening or background noise. It’s a piece of art and should be treated accordingly. And don’t be surprised if, after a few goes round the turntable, you find that as you listen to those three songs in the middle your heart quietly breaks, just as Nicholson’s must have, and then continue listening as he puts it back together again. 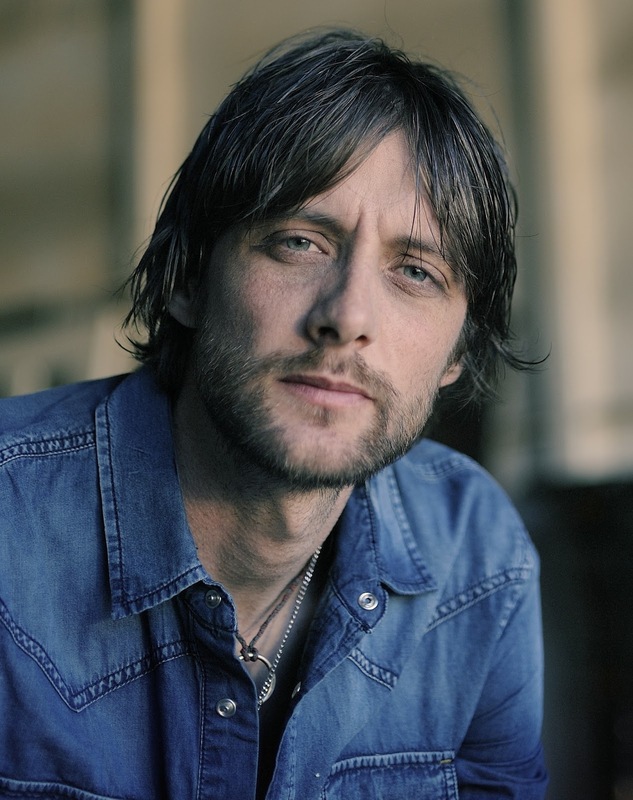 Since Shane Nicholson released his last solo album, Bad Machines, in March 2011 he has toured the country in support of the album, which won him the 2012 APRA Music Award for Country Work of the Year for the song ‘Famous Last Words’, as well as taking out first place in the Americana section of the International Songwriting Competition for ‘The Broken Things’. In 2012, with Kasey Chambers he co-wrote and recorded produced Wreck & Ruin, which won the 2013 Golden Guitar for Group/Duo of the Year. Producing other people’s albums has been taking up a fair bit of Shane’s time since then. From his Sound Hole studios have come a multiple award-winning album for Beccy Cole and a critically acclaimed album for the Quarry Mountain Dead Rats, amongst other projects, and Shane was awarded 2013 Australian Producer of the Year at the Golden Guitars, to go along with the award for Wreck & Ruin. For those who, like me, are hopeful that Shane will release a new solo work of his own, there is good news: he’s working on one. In fact, as he said to Catherine Britt the other night on Saturday Night Country, he’s working on two. And while those projects are ongoing, he’ll play three dates in New South Wales which will be recorded for a live album. These will be Shane’s only live shows for the rest of the year. Ahead of those dates, and in between performing the many different roles that make up his career, I was able to interview Shane by email. I’m not even going to pretend I wasn’t delighted to have the opportunity – as I’ve said elsewhere on this website, I believe that Shane is out of our most outstanding musical talents. You have an extensive, and varied, catalogue of songs – how have you decided (or how will you decide) which ones to play for the upcoming shows, and therefore to go on the live album? I always choose the songs that still speak to me in some way. They’re usually the ones that still mean the most to the audience, too. It’s always exciting when a show becomes a “one-off event”. When the power goes out, when the lights go down, when the PA system blows up; I love it when this stuff happens, as automatically the show becomes something that no one prepared for, and hence a show no one forgets. It’s special. There was quite a leap in musical and production style from Faith & Science to Familiar Ghosts – you went from a full-band indie pop/rock sound to a Shane-only, quieter album. Was it easier to make the album when you were the only member of the band? In some ways – democracy in music can be difficult. And it’s often an illusion. It’s much easier to not have to pretend that you want other people’s opinions! Having said that, FAITH & SCIENCE was very much a solo album, even though it utilised a lot of various musicians. It took about a year to make that album. Pretty crazy in hindsight! The progression from Familiar Ghosts to Bad Machines was clearer: through those albums, and across Rattlin’ Bones and Wreck & Ruin, you seem to be excavating the sounds of country, blues and bluegrass, almost in an archival way – do you listen to a lot of ‘old-time’ country? If so, which artists most interest you? I grew up listening to a lot of old-time country, and I still do listen to a lot. I also listen to a lot of modern artists who are influenced by old-time music, be it country, folk, blues. In your live shows – whether on your own or with others – you play an array of instruments. Have you just naturally picked up different instruments and been able to play them, or have you consciously learnt how to play them? I’ve never really learned an instrument besides guitar. All the other instruments I play only out of necessity. Usually because I can’t find someone to play it exactly the way I want it to sound on an album, so I’ll teach myself how to do what I’m hearing in my head, on whatever instrument I’m wanting to hear it played on. And it also feeds my instrument-collecting fetish. You’re now a producer – are artists approaching you to produce their albums, or are you seeking out people to produce? Or both? And do you need to be in a completely different mindset to produce, or is it on a continuum with songwriting and performing? Production work is an extension of the creativity I feel when making my own music. It gives me good perspective as an artist and allows me to experience the creative process more often. Most often, people will seek out a producer whose work interests them, and they feel will be a good match for their music. There has also been a few times when I’ve stumbled across incredible new artists and I’ve approached them about working together. Shane’s special guest for these shows is Ashleigh Dallas, who played fiddle and mandolin with Shane and Kasey on their ‘Little Birds & Bad Machines’ tour in 2011 and is now working on her own album. I saw Ashleigh playing recently, with Kasey, and thought she was fantastic. Tickets for the following Shane Nicholson shows are on sale now. The temptation for artists as established as Kasey Chambers and Shane Nicholson – whether those artists are musicians, writers or filmmakers (or visual artists) – must be, at some stage, to rest on their laurels a bit. They have an audience who likes what they’ve done so far – why not just repeat that? It’s lazy, sure, but you can get by on that for a while. No one would blame either Kasey or Shane for doing that. Given the success of Rattlin’ Bones, their first joint release in 2008, and their individual achievements, cruising would be acceptable. But, of course, neither of them is lazy and neither courts complacency. Individually both of these singer-songwriters have consistently proved that they are not interested in that. They progress. Each solo album is a different proposition; each an exploration. They wouldn’t know creative stagnation if they fell into an ocean of it. So here’s the newsflash: Wreck & Ruin is not Rattlin’ Bones Mk II. It is a different album – musically and lyrically – just as accomplished as its predecessor, but more nuanced. Where Rattlin’ Bones was more staccato in instruments and voice, there is a softness in Wreck & Ruin – even in the more bluegrassy tunes – which suggests that Kasey and Shane are, in all their dealings, gentle with each other. There is a touch of melancholy, too, but we can’t expect that the restlessness that comes with a forceful creative flow will produce permanent contentment. 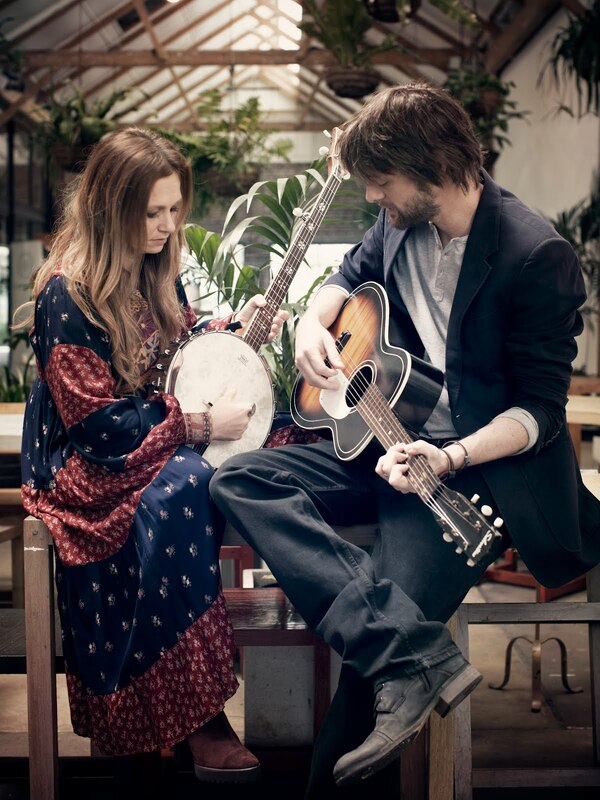 As befits a pair who have had four more years of playing together under their belts since their last album, vocally they sound more comfortable with each other. Their voices ebb and flow around each other, their combinations sounding so effortless that one can only imagine that they sing together every chance they get. Shane seems to have developed a warm croon to his voice that fits beautifully with Kasey’s tone. The album overall sounds romantic, even though the lyrics aren’t always. There is occasionally the odd – and rather touching – sound of two people yearning for each other while they’re in each other’s presence; two people who know each other well – who know the best and worst of each other – and always seek the best, so that is what they ultimately find. The songs seem to come in one of three types: hillbilly, wistful and biblical (and there is some crossover). To be completely one-dimensional about it, the hillbilly songs are ‘Wreck & Ruin’, ‘Dustbowl’, ‘Rusted Shoes’, ‘Flat Nail Joe’ and ‘Sick as a Dog’ (and, to be clear, I’m labelling them ‘hillbilly’ because at the end of one of them Shane yodels ‘hiiiillbilllly’). These sound like they were pure fun to record. The ‘wistful’ songs are ‘The Quiet Life’, ‘Familiar Strangers’, ‘Your Sweet Love’, ‘Up or Down’ and ‘Troubled Mind’. The biblical songs: ‘‘Til Death Do us Part’, ‘Adam and Eve’ and ‘Have Mercy on Me’. Most of the songs are short and sharp, with most not lasting even 3 minutes. But they don’t need to. The message is delivered, the story told, the emotion conveyed. Brevity is what experience can bring a songwriter – they realise that they don’t need flourishes when a heartfelt word or chord does the job and that, in fact, flourishes just distract the listener from what the song is trying to achieve. Kasey Chambers is one of our greatest songwriters, of any stripe. She is a folkloric chronicler of life, love and the human condition as it exists in Australia. Shane Nicholson is no slouch either, but where he complements Kasey in the duo is in his musicianship and ability to understand how instruments can be coaxed and cajoled to enhance a song and a voice (or voices). On a fundamental level, she understands how stories work in music and he understands how music works for stories. This kind of songwriting and performing partnership doesn’t come along very often. It is thrilling to have it documented once more, in Wreck & Ruin. Wreck & Ruin is out now through Liberation. 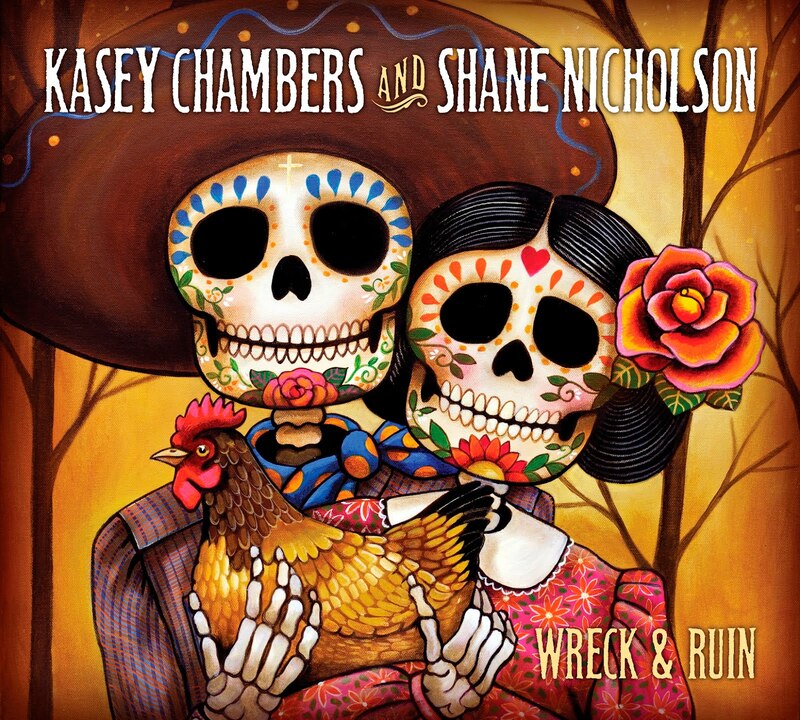 It was with great excitement that I read a press release this morning announcing that Kasey Chambers and Shane Nicholson are putting out a new album on 7 September. Entitled Wreck & Ruin, it’s their second collaboration – the first was the hugely successful Rattlin’ Bones, which was released in 2008. As I was sent the press release, I feel I can quote liberally from it … Said the pair, ‘Having been almost five years since we made Rattlin’ Bones we thought it was time to ‘Tempt Fate’ and challenge our marriage by making another album together! ‘We have both made solo albums in between but in the back of our minds we always knew we would end up making music together again. The cover artwork for Wreck & Ruin was created by UK-based Australian artist Kerry Evans. The album is co-produced by Nash Chambers, Shane Nicholson and Kasey Chambers and was recorded at Foggy Mountain Studios, Nash’s studio on the NSW Central Coast. The first single from the album, ‘Adam and Eve’, will be released on Monday 23 July. Suffice to say I’m about to pass out with excitement – Shane is a musical genius and Kasey is, quite simply, one of the greatest singer-songwriters Australia has ever produced. I still can’t quite believe they make albums together, let alone are married to each other. As anyone who has seen them perform knows, it is also a true marriage of talents – and let’s hope they’re taking them on the road come September.